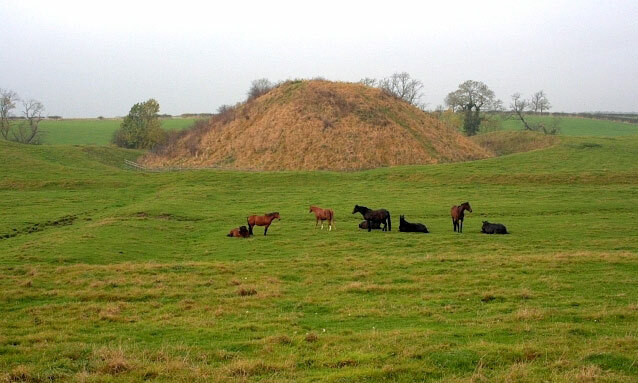 A motte and bailey castle built in the early 12th Century beside the Bishopton Beck. The motte has a circular top which stands 35 feet high and measures 175 feet across at the base. It is surrounded by a moat 25 feet wide and up to 10 feet deep with a bailey outside. On its eastern side it was protected by a substantial moat 200 feet wide fed from the Bishopton Beck.